1. Oven – a) Turn on the oven for about one minute and turn it off. Place dough in the warm oven. b) Place a pot of boiling hot water in a cold oven. Place the dough inside with the hot water. These will only work until you need to preheat the oven to bake. If you have a second oven, you can keep the dough in there longer. 2. Heating Pad – Set the dough on top of a heating pad and set the pad to low or medium temperature. 3. Lamp – Turn on a reading lamp and set the dough under the bulb. 4. On Top of Fridge – Your refrigerator generates heat so it’s usually warm on top of the fridge so you can place the dough there. 5. Microwave – Bring a cup of water to boil in the microwave. After it boils, put the dough in the microwave with the cup of hot water and close the door right away. This creates heat and humidity. 6. Neck Wrap – If you have a neck wrap that you heat in the microwave, you can heat it up and wrap it around the container that holds the dough. 7. Bowl of hot water – Fill a bowl with very hot water and put a flat top on it like a plate or pizza pan. Place the dough on the plate and drape a towel over the dough and bowl to keep the heat in. 8. 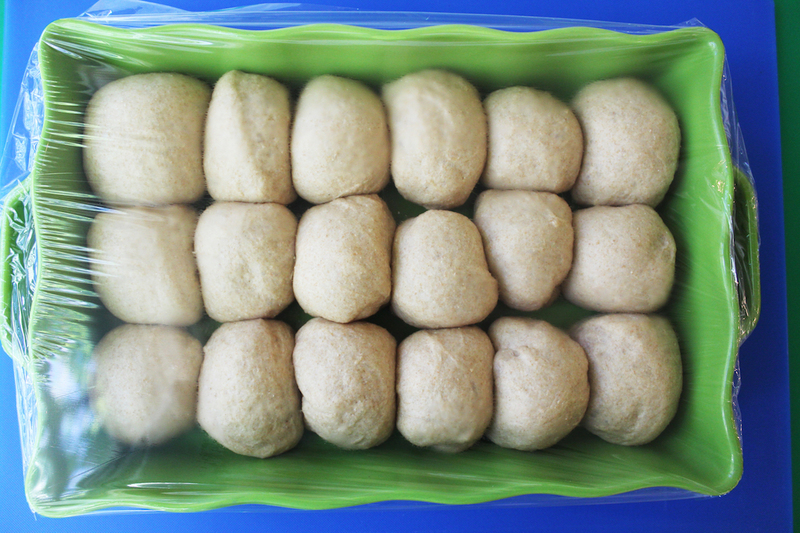 Window – If the sun is coming through a window in winter, place the dough next to the window in the sun. 9. Hot Car – If your car is parked in the hot sun, put the dough in the car. Did I miss any? If anyone has other suggestions, please post them below. Filed Under: Breads/Muffins, How To . . .
51 Comments on "How to Rise Dough"
Ran it on high for about 10 minutes – then turned it off and put the dough in the dryer and closed the door. Toasty warm environment here in MN in the Wintertime. hi jenny! love seeing you cooking on u-tube! so how many kitchen timers do you have? here in Kansas our summer temperatures and humidity are high…wondering if i could leave bread dough in a covered bowl on my patio? thanks! and look forward to more videos. you explain things well, and i really like your sense of humor! If i was to prove bread, i would put it in my garage because it is usually warm. But during the winter, i would surely use these tricks instead. I heat the clothes dryer for a few moments, wrap the bowl with plastic wrap and then wrap in a clean towel. It’s a great draft free area. I run the dryer for a few seconds. Place the bowl or pan inside, close the door, and set the timer for 5-7 minutes. I repeat this as I do other chores like cleaning the kitchen or washing dishes. Sounds like trouble but it’s not and it works. But I have to say I like the reading lamp idea better. Time to hit the thrift stores and garage sales. this is not a request, just a compliment for you personally and also your wonderful site. You and I go way back to the old TV days. I liked you then and still enjoy you now. Your my favorite go to when I want a recipe or to try something new. At the moment my White Bread is rising in the Microwave, I’ll let you know how that works for me……..so, my dear, Keep on cooking and baking because you are really right on!! BTW I am probably old enough to be your Grandma, 79 and still doing my thing in the kitchen. My daughter thought you were my age, 48. It must be the home cooking, love you! 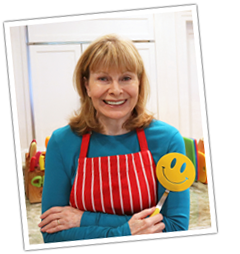 hi betty i am 78 and like you watched jenny on her tv show every day and love her cooking its never to late to leard new things. If you don’t want to heat the oven for a minute just turn the oven light on. Works great!!! Another warm place to rise dough, sit it on a thick towel on your hot water heater, nice and warm! One of our bathrooms (easy access to pool) has a heat lamp next to the overhead light.I know it sounds awful , but I put a beach towel on the commode , turn on the heat lamp, close the door and put a post-it note on the door telling all who read it that if they open that door it’s under pain of denial ; they are denied any of what I’m baking ! The lamp works like a charm ! My next door neighbor does her dough the same way !! We have had so many laughs over our dough raising in the bathroom it could fill a book . So there’s one more way to raise dough in our house that is too cold to raise dough all year round ! In summer the AC is on and in winter we try to keep the heating bills down , so it’s still cold in this barn of a house ! There’s more than one way to skin a cat ! Thanks for taking time to share this. Crusty. I later put it in a zip log bag and it soften a little. Crusty bread never stays crusty, especially when wrapped in plastic. But even after being stored in foil, it still needs to be re-crisped in the oven. I cover the sliced sides with foil and leave the crust exposed, and re-crisp in a 325 oven directly on the rack for about 10 minutes. Baking is an exact science so if you’re baking for the first time, it’s best not to change the recipe. I only make this bread the way it’s posted so if you can’t follow this recipe, you may have better success if you find a different recipe. I have a whole wheat bread without egg (https://www.jennycancook.com/recipes/easy-honey-wheat-bread/) but I can only guarantee a great loaf if you don’t change the recipe. Good luck! Thanks for all your recipes. We have used unsweetened vanilla almond milk for your recipes and thus far all came out well. Husband cannot consume cow milk. We have done whole wheat bread with egg with almond milk too and delicious! Will this recipe be ok to double or triple etc. Does it freeze well? When I make bread, I usually make at least 4 loaves and freeze. I’m not sure which recipe you are considering but no matter which one, I have never doubled or tripled so I’m sorry I can’t offer any help. fantastik! i love all of them but the microwave and the one with the plate on top of the hot bowl of water are very reasonable. thanks. Reference where to place bread to rise. Put in oven and turn on oven light. Oven will maintain 80-85* in a draft free inviroment. Perfect for bread rising. I turn my space heater on in a bedroom and the place the loaf pan about a foot away from it. Thanks Jenny, for answering my question. Humidity is actually a great environment for rising dough but as far as high altitude, that’s a specialized area of which I have very little knowledge but I believe that it’s only over 3,000 feet that you need to make adjustments. If you are that high, you would need to research “high altitude baking” for specifics. I wish I could help more but this is out of my area of knowledge. Bread Flour is 1 cup	128 g	4.5 oz sifted is 4oz scooping can be 51/2 or more. ” You can, in fact, create a 4-ounce cup of flour by sifting the flour first. The sifting process incorporates a lot of air into the flour, which is the first source of leavening. Scooping flour, which can produce a much heavier cup (up to 5 1/2 ounces plus), will obviously contain less air and more flour”. So not only is how you measure important but how you determine time of raise of baked goods. From what I have seen in my baking how much the bread raises is more important than the time it takes. If it says double don’t let it raise much more than that as when you bake it it will most likely fall and if not enough raise it will be dense. This method of not using time but volume of raise means that you don’t need a warm place. Baking using cups teaspoons and tablespoons always left me scratching my head. 1 out of 5 times I would have good results Then after watching so many popular chefs when baking saying how they use grams and not cups and mentioning how big bakeries used percentages to be exact I bought a scale and now when following a formula exactly I never have a bad experience!! The problems are multiplied when trying to make bigger batch. Water is the one variable as you never know how wet or dry your flour is to start with. So you need to hold back a few ounces of fluid or maybe adding a few. The problem I always had was if I used the amount called for and it was to much water then I would have to use more flour and some times it would be a cup or more to get the dough right and maybe get it to tight and then go in another circle. This always ended up with the wrong formula not enough yeast sugar or salt ending up with bread you could not feed to the birds. This was a long winded way of saying be as exact as you can and hold back fluid you don’t need and if you have to use cups sift the flour and you will at least be close enough to get a fairly good result. Buy a scale and you will be happy everytime. I have a recipe for beer dressing for a turkey. I just saw this recipe a couple of days ago for beer cheese soup. I haven’t tried it yet. Hi, I am looking for your sweet potato recipe made with oat bran that was in a magazine many years ago. I lost mine and cannot find it anywhere. It was a wonderful recipe and very popular in my house. I’m sorry but I have no recollection of this recipe. The only one I remember is my sweet potato chocolate cake but there is no oat bran there. I wish I could help but I can not remember publishing such a recipe. Hello Jenny, I think Denise Keeler maybe talking about your sweet potato muffin recipe on your about page, that was also posted in TV Week Nov. 1992. The one where you had sent in a correction as they had printed errors that you titled: “Miffed about her muffins” I wouldn’t mind to have that recipe too ! Thank you. Hi Jenny, no it really was “sweet potato muffins” and if you look on your “About page” the recipe is still there – we just aren’t able to read it. Please let us know. Oh! I’m so embarrassed! That was so long ago but I will look for that article and if found, I will post the recipe. Thank you for taking time on this. Clothes Dryer – Run the dryer a few minutes to warm it up (you can place a couple of towels in there if you don’t want to run it while empty). Place your dough in a clean bowl, or rolls/bread on a tray, and cover loosely. Close door to keep the warmth in. It works! I have made your tortillas on a regular basis and you are right (again), they are so delicious!! I have also made the orange chicken and it was another success!! Thank you so much for this website and all your delicious recipes and fun videos!